Photo: The views from Summer Friends ain't bad. Summer Friends Homestay is the one of the most affordable sleeps you’ll find on Mabul, and if you’re happy to eat in the local warungs, one of the few that offer an option of accommodation only—though a full board package is available if you wish. 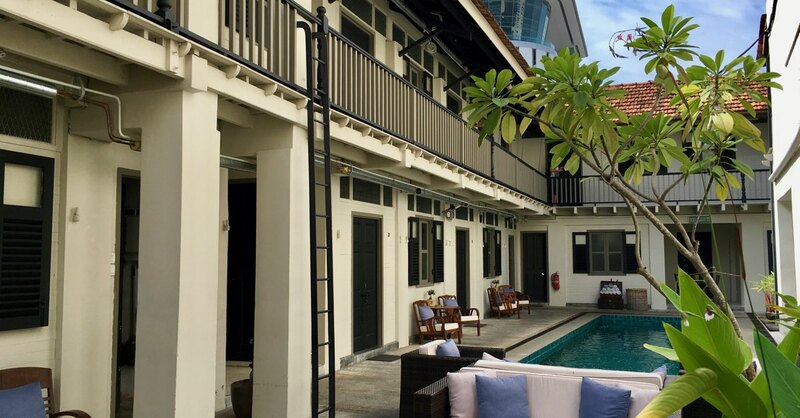 Not only is it a bargain, but this basic homestay is super friendly and clean, and has a terrific rooftop sundeck with views over the sea and village. Entering a pastel blue gate, a short private jetty leads you to the stilted colourful homestay in the middle of the water village. Basic rooms edge a central hallway continuing to the outer deck and communal areas. The multi-hued pastel palette is fun and welcoming, and brightens the modest rooms furnished with simple iron beds and standard fans to keep it cool when the power’s on. Facilities are shared, and it’s cold-water showers only, but the toilets are Western style. 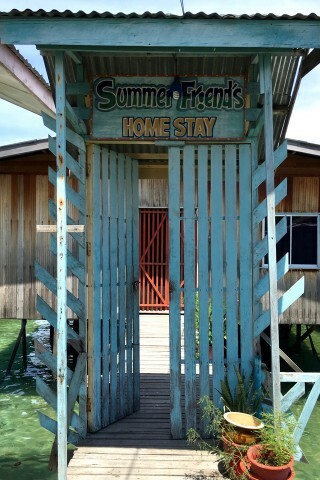 Summer Friends Homestay can take you snorkelling, and while they don’t offer dive packages, they can fix you up with local operators. They don’t offer only fair weather friendship—they are open though autumn, winter and spring too. If you’d prefer an all-inclusive deal with diving for an affordable price, friendly Seahorse Sipadan Scuba offer dorms for 80 ringgit.